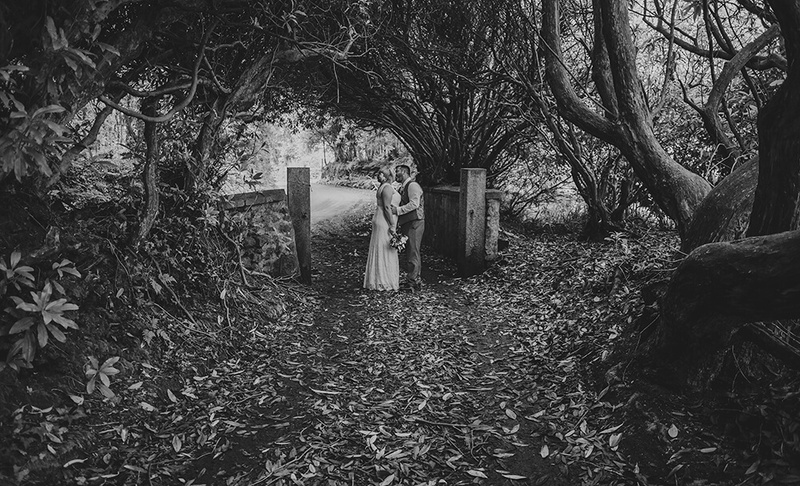 St Austell is a favourite location of mine to shoot wedding photography in Cornwall not only due to its fantastic coastal position but because it is my home town! This major town in Cornwall is situated on the south coast, a green and gold tapestry of wooded hills dropping down to secluded coves, inlets that hide enchanted fishing villages and pilgrim trails that wind past sleepy farms and ancient stones. It is approximately 10 miles south of Bodmin and 30 miles west of the border with Devon. The south coast of St Austell Bay has a vast diversity of activities within its vicinity; you might want to try your hand at fishing, visit the Tropics & Mediterranean biomes at the Eden Project, one of the most famous attractions in the world, cycle along the Pentewan Valley trail to Pentewan Sands, or explore some of the other golden beaches St Austell Bay has to offer, which are a haven for water sports and full of interest. The white peaks of the China Clay industry overlook the market town of St Austell, Cornwall’s largest town dating back to the 13th century. You can learn all about the industry at the Wheal Martyn Museum and Country Park, an excellent open air museum dedicated to the area’s all-encompassing industry. Apart from displays of bygone work practices, you can see the breathtakingly large, modern working pits that use high-pressure hoses to blast the clay from the ground. Nearby is the beautiful Georgian village of Charlestown, where you can find the Charlestown Shipwreck Centre, packed with historical artefacts relating to HMS Victory, Titanic, smugglers and pirates, making it the largest private collection of its type on public display in Europe. Or maybe browse the St Austell Brewery Visitor Centre, an interactive museum telling the story of the pubs, beers, wines and spirits of Cornwall and the families who created them. St Austell also has its own winery, located in the nearby village of Trethurgy. Knightor Winery makes premium quality, limited production wines from grapes grown in English vineyards and their own vines at Portscatho and Seaton on the south Cornish coast. 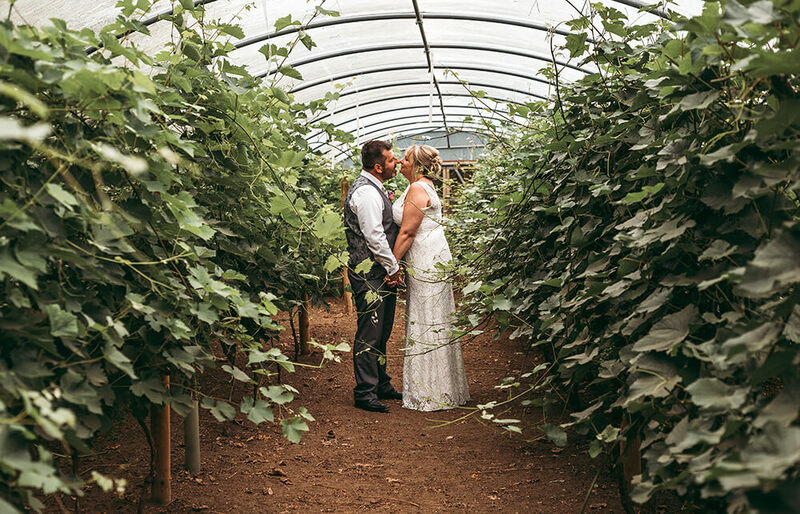 When it’s not busy producing fine wines, the winery is also licensed for civil ceremonies and is one of many superb wedding venues in St Austell, the town being popular with couples due to its pretty location and varied choice of venues. 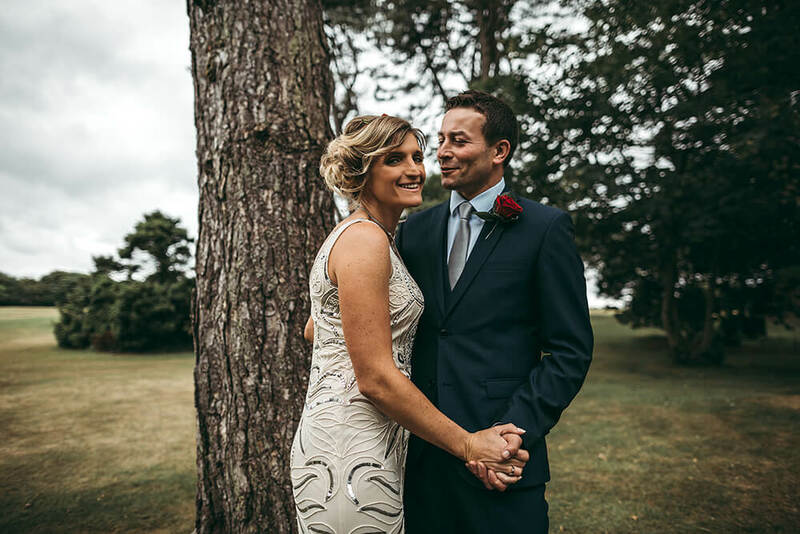 If you would prefer to tie the knot at a luxurious four star hotel with a cliff top setting, then perhaps the Carlyon Bay Hotel would be a better choice of wedding venue. Overlooking St Austell Bay, this stunning, well established hotel is also a very popular wedding venue in Cornwall. If you are considering getting married at either Knightor Winery or The Carlyon Bay Hotel and would like to view some weddings that I have photographed there, please click on the highlighted text. I also offer a competitive discount for any weddings held within a 5 mile radius of St Austell. Please feel free to get in touch for your personalised quotation.